Adapters by Ehle convince with their craftmanship and exact fitting. We cut the connector to the designated length. 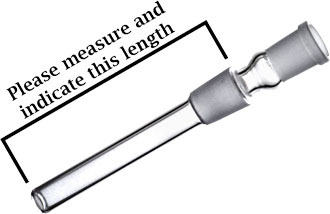 For orders with a Bong from Ehle, we place the right length on automatically. Please specify separate requests on the order form under comments. Orders without specifying the required length will be shipped uncut!